With Legrand’s Nuvo Audio Player System connected and Nuvo app installed on Android or iOS mobile devices, users have an easy & quick option to access many streaming services including Spotify, Deezer, iHeartRadio, Pandora, and etc, internet radio or local music. Nuvo app also offers users a complete control of all audio zones and functions including, power, volume, playlists, pause, next, and mute over the Nuvo Audio Player System. But you find that you can not access Apple Music on Nuvo audio play, why? Apple Music is not included in the list of streaming music service supported by Nuvo, plus Nuvo does not recognize the encrypted Apple Music songs, that is the reason why you have the trouble shoot when music added through Apple Music but the songs or playlists get grayed out in the Nuvo app. Fortunately, we figure out a way to help you get Apple Music sync to Nuvo audio player – make DRM protected Apple Music songs become your personal local files by converting them to plain MP3, AAC, WAV of FLAC audio files. 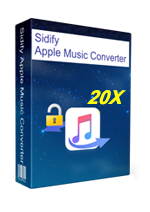 Sidify Apple Music Converter is designed to remove DRM protection from Apple Music songs and convert them to unprotected audio files like MP3, AAC, WAV or FLAC, thus you can successfully add the Apple Music songs to Nuvo audio player. 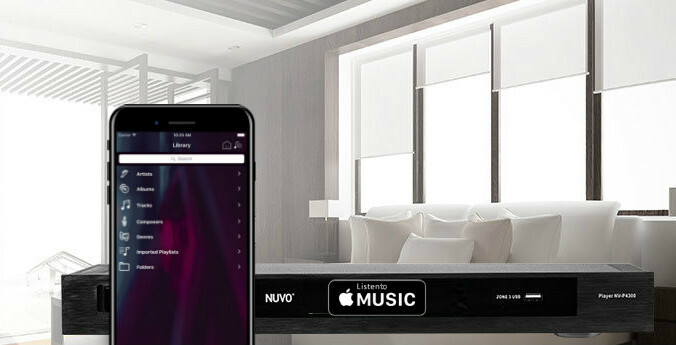 Now, we shall start the steps to convert Apple Music to MP3 and add the converted Apple Music to Nuvo audio player for playing on Nuvo wireless audio system in your multiple room. 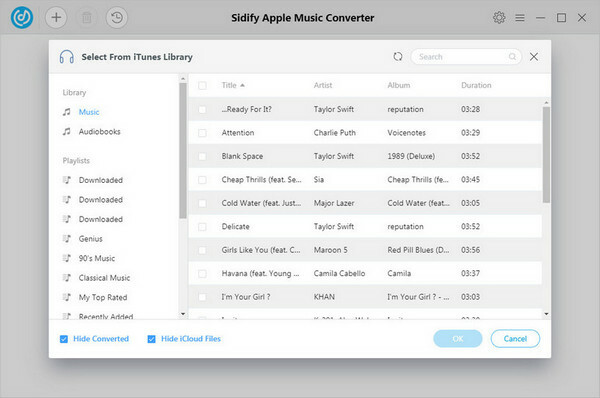 Click on icon, a window will pop up to show your iTunes music library, then you can select the Apple Music songs you want to convert and click "OK" to check. Then tap button to choose output format as MP3, or if you want higher audio quality, you can choose FLAC as the output format, and audio quality to 320kbps. 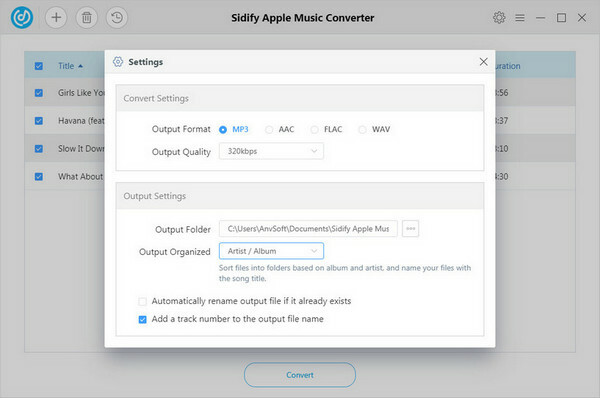 After customizing the output settings, you can start conversion Apple Music by clicking "Convert" button. 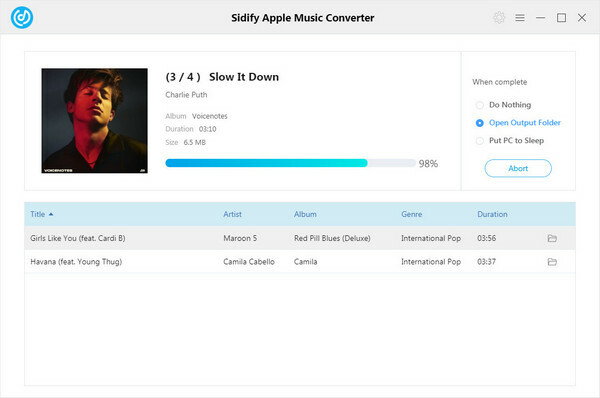 Sidify will convert Apple Music up to 20x speed, after the conversion completed, you can click icon to check the well converted music. With Nuvo player app, all your favorite music is right at your fingertips with easy access stored on any Android or iOS device. So you just need to transfer or sync the converted Apple Music to your Android & iOS phones or tablets, then you can play these Apple Music songs on your Nuvo audio system anywhere or anytime. Just try this powerful Apple Music converter now, and start your amazing music experience with this fully functional audio system.